The fear of death is part of our human nature but doesn’t serve us well in our individual lives when we fail to contemplate and embrace our own mortality. In addition, this lack of death awareness has harmed our entire planet as we have existed without respect for the fragility and fleetingness of all life, have taken more than needed from the earth’s limited resources, and have failed to honor the natural balance of the ecosystem. When we ignore the importance of death in the life cycle, we hinder the flourishing of creativity in our own lives and also in the natural world. For our own evolution and the survival of the planet, it is essential to confront the denial of death and transcend the limitations of our fears. Los Angeles funeral director Caitlin Doughty once mentioned in an interview that the denial of death is a “luxury” of living in a First World nation. She went on to say that had we been born in India we would view death as a natural part of life, as a result of witnessing it on a daily basis: from beggars dying on the streets to family members dying in the home to crematory pyres floating continuously along the Ganges River. But we in Western society have not had this lifelong exposure to death and must intentionally educate ourselves to overcome our intrinsic death-phobia. Those who recognize their own mortality may be inspired to prepare for the end of life, but have little idea where to begin or how to confront their fears and limited knowledge about dying and death. 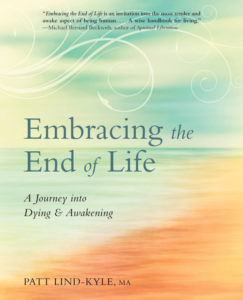 Fortunately, Patt Lind-Kyle’s groundbreaking book Embracing the End of Life: The Journey into Dying and Awakening offers the precise guidance needed for the contemplation of death along with the tools to actually transcend fear and discover the joy of living an awakened and aware life. With her background in East/West psychology and extensive research in right/left brain function, Lind-Kyle is perfectly suited to guide the reader across the bridge between life and death. She combines her academic knowledge with the wisdom attained from her thirty-five-year practice of meditation in the Theravada tradition to provide a richly interwoven mind/body/spirit approach to death and dying. 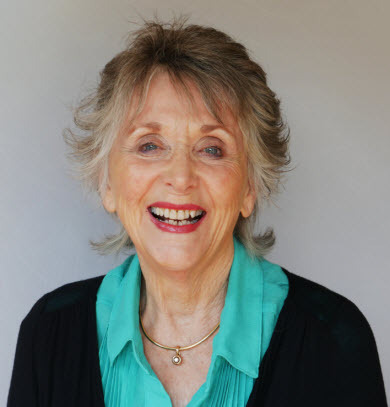 In addition, her life-changing book is both inspirational and practical, with specific exercises to explore the roots of fear, age-related meditations, and descriptions of Enneagram and brain frequency patterns for various stages of life. This book informs the reader not only about the physical, psychological, and spiritual aspects of the dying process but also inspires the examination of emotions and beliefs about death through a series of written reflections. These exercises form the guideposts for a journey into deeper and deeper death-awareness that results in expanded consciousness as well. Ultimately the reader is not only prepared for what the dying process may entail, but also equipped with a new mind-set toward death and specific practices necessary for navigating unknown terrain at the end of life. Furthermore, a wealth of practical resources is offered for caregiving, legal document preparation, and support of the dying from various religious perspectives. Embracing the End of Life offers a beautiful gift for those who follow its recommended exercises: the opportunity to become enlightened about death long before this wisdom is needed. Transcending the fear of death in this way allows much more room for creativity, joy, and the freedom to finally live in a fully awakened state. Patt Lind-Kyle writes, “Death is one of the most precious experiences you will ever have in this life.” It turns out, her book informs us, that death is actually the key to life—and there is no more important lesson for us to learn.